WK: What is “The Blend”? Mix (a substance) with another substance so that they combined together to make a mass. 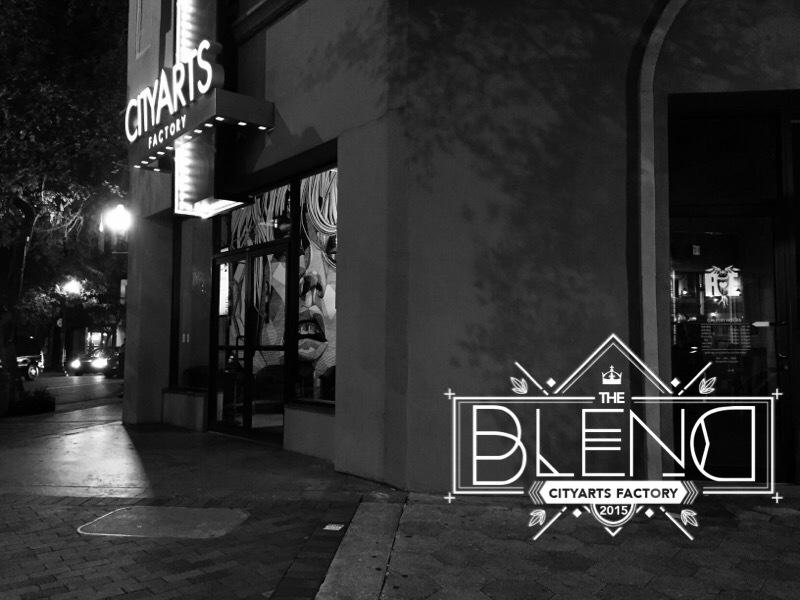 “The Blend” Orlando, a free “Pop Up Show” installation Sponsored by Orlando’s 104.5 The Beat Radio Station, Belaire Champagne, and Studio 18. Our Mission is to provide local fashion designers, painters, artists, musicians, singers, lyricist, producers, and Orlando media in on continuous flow. 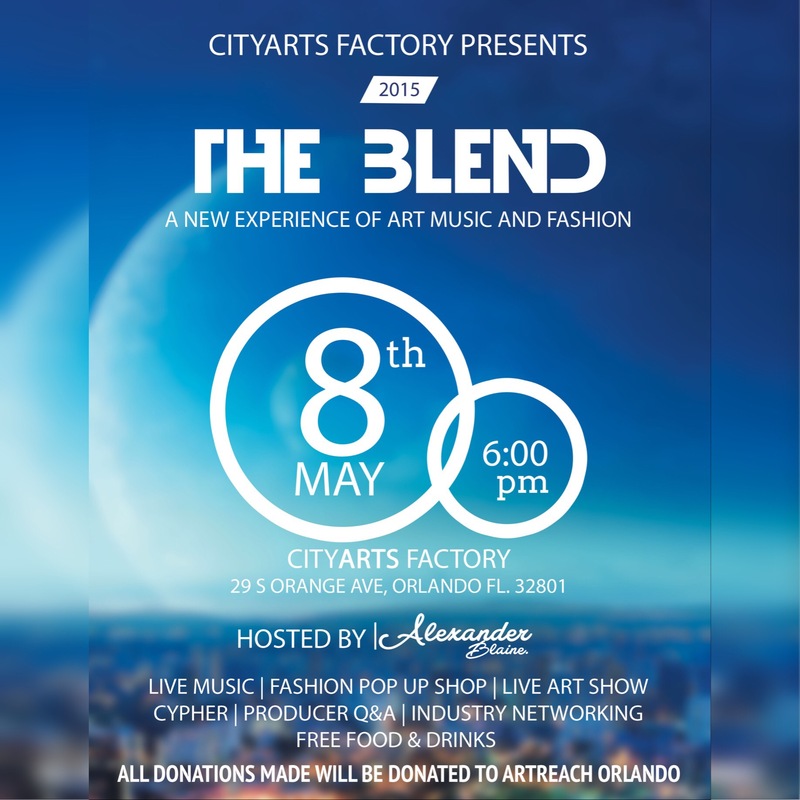 The event is to geared to showcase and highlight the talent and culture of Orlando in one place while gaining awareness of continuing the development of these talents by raising money and supplies for ArtReach Orlando. ArtReach Orlando is a non profit organization that works with children in underserved areas. 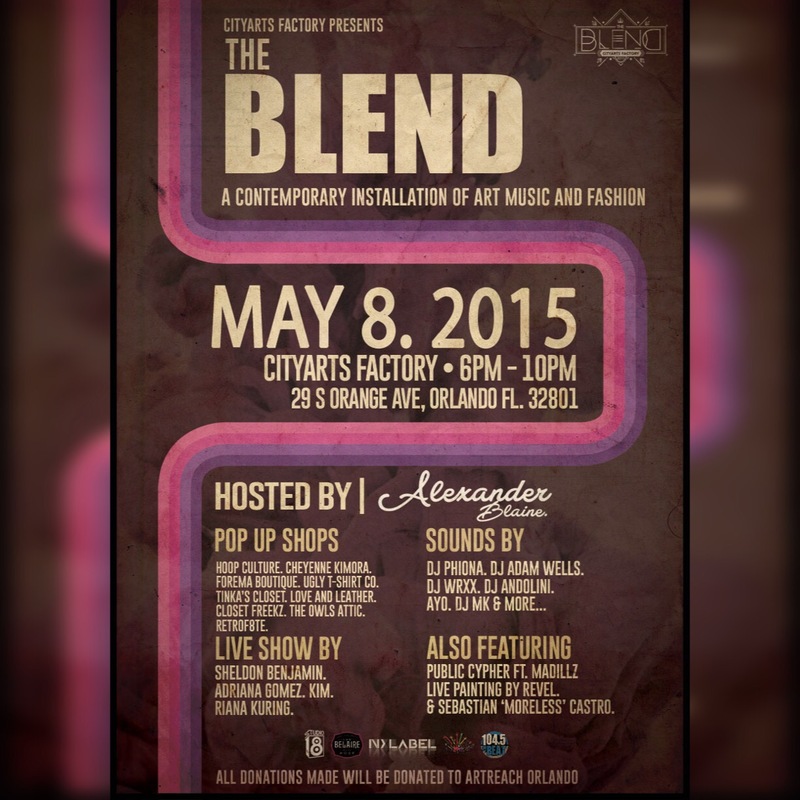 The Blend will take place at CityArts Factory in downtown Orlando on May 8, 2015, from 6pm – 10pm. The attended will gain knowledge and have access to network in a blended environment with the creative elite in the Orlando. The 4 hour experience will host a fashion pop up shop, cypher and performance session, Q&A forum with Grammy nominated producer, live interviews, Belaire Champagne Tasting, Art Auction, Dancers and more. The focus is to create a cultural experience while continuing the growth of instilling the importance of these various platforms in our youth.